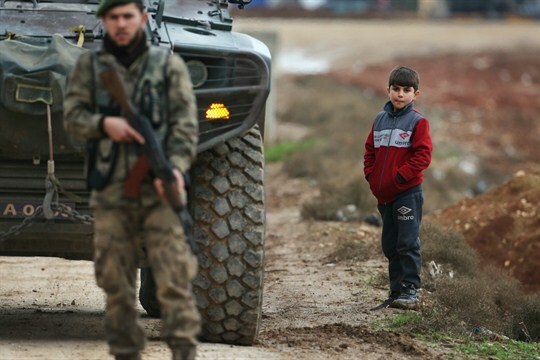 A child looks on as a fighter with the Free Syrian Army secures a checkpoint on the outskirts of Azaz, Syria, Jan. 27, 2018 (AP photo by Lefteris Pitarakis). The ongoing and increasingly grim conflict in Syria is a portent of wars to come. As I wrote last week, future Syria-style wars will be defined by four characteristics: intricate complexity, a conflict-specific configuration of antagonists, an inability of the international community to undertake humanitarian intervention and a failure of the United Nations to play an effective role in ending the fighting.